No matter what industry or field you’re in, understanding your customers is crucial to success. If you want to sell more of your product or service, you have to know what drives customers’ purchasing decisions. This is where buyer personas come in. According to HubSpot, personas can make websites 2-5 times more effective—yet, there are still many companies who are not using personas in their marketing and sales processes. If you’re unfamiliar with buyer personas, now is the time to learn. Buyer personas are fictional people that represent various segments of your customers. Although these personas aren’t real people, they are derived from real customer demographics data and behaviors. Using this data, you can build a persona that is representative of a specific section of your audience. Developing these buyer personas is important because they offer real business value. Personas inform marketing and sales strategy. Having these personas gives you the ability to target specific goals or challenges with your marketing. Similarly, your salespeople can speak to these goals in the sales process and explicitly state how your product or service can help them achieve those goals. Developing personas also allows you to segment your marketing to develop focused, finely tuned messaging. Rather than trying to speak to broad audiences with generalities, your marketing can be more effective by speaking directly to specific target groups. Finally, these personas will help your salespeople know which collateral and content to send to prospects to boost sales. Part of defining these personas is determining which existing marketing materials resonate with which persona. This empowers your salespeople as they don’t have to dig up content or resources and already know what is available to help them close the deal. This will also help you identify any gaps in your marketing. The value of building buyer personas is clear, but how do you go about creating these customer profiles? Well, it’s as simple as following a recipe. 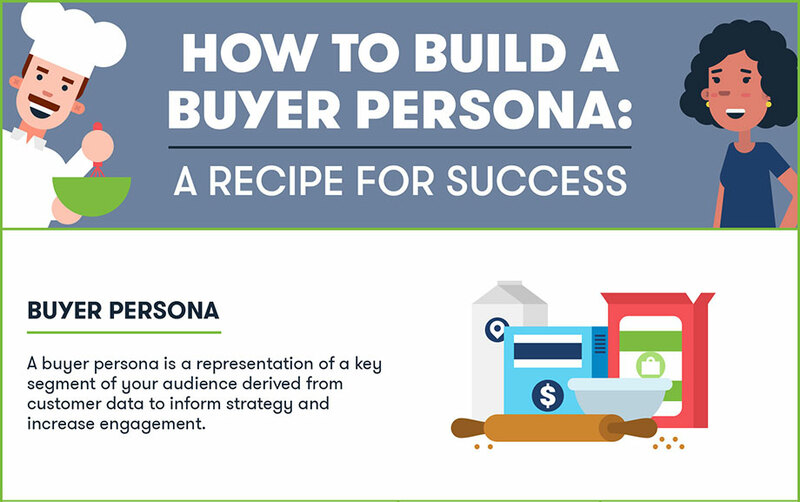 GetCRM has put together a visual to help you follow this recipe and build detailed buyer personas for your business. Check out the infographic below to learn more. You may also like: How is Virtual Reality Incorporating into the eCommerce Industry? How to Increase the Success of Print Commerce with Latest Marketing Strategies?